Twins, triplets and more — if you‘re raising multiples, you already know that every child will develop at his own pace. Potty training is no different. So while it might be a fun fantasy that your septuplets will be done with diapers simultaneously, it simply isn’t likely. Parents of multiples say that it’s actually easier to train one child at a time. But if it turns out the children are all showing signs of readiness, have a little potty available for each of them to eliminate potty competition. Do we have a concept for a reality show? But seriously, observe and follow each child’s unique signals of readiness, and don’t despair if someone is a late bloomer. Sometimes, the children who try to learn first actually will take longer to train. The ones who start the process later might learn from watching the crowd in the bathroom and master the skills faster! Avoid using rewards for multiples. Your child’s success — and your low-key, specific praise, is enough. And of course, resist comparing your toddlers. Just as in all aspects of development, each child has different strengths and areas of challenge. 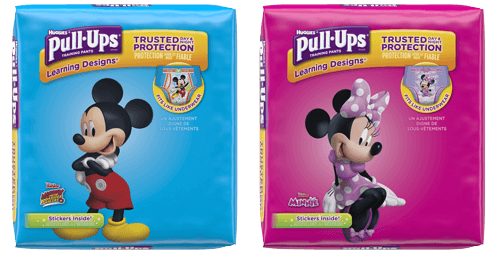 Does Your Child Need a Potty Training Break?